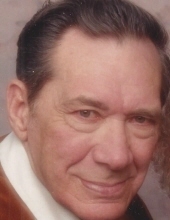 Stanley Whitehead, age 90 years, of Oxford, NJ, died Friday, March 22, 2019, in Saylorsburg, PA. at the home of his son, Kenneth. Born in Flemington, NJ, December 23, 1928, son of the late Samuel and Carrie Miller Whitehead, he had resided most of his life in Hunterdon County and had resided in Oxford, NJ for nineteen years. He also resided at one time in Gillette, PA.
Stanley was a fabricator with Johns-Manville Corp., Manville, NJ before retiring. A former member of the New Jersey National Guard, Stanley was an avid hunter and was a member of the Independence Rod & Gun Club, Great Meadows, NJ. He was pre-deceased by his wife, Frances Peltack Whitehead, in 2006; his sons, David Whitehead and Robert Whitehead, both in 2016; a granddaughter, Tammy Whitehead, in 1971 and by two sisters, Helen Hoppe and Irene Tinnes. Surviving are two sons, Kenneth Whitehead, of Saylorsburg, PA. and Stanley E. Whitehead, of Oxford, NJ; six sisters, Edna Reynolds and Katherine Beatty both of Flemington, NJ, Mabel Bennett of Phillipsburg, NJ, Doris Gottschall of Quakertown, PA, Alice Emery of Ringoes, NJ and Betty Ann Tubiello of Revere, PA; a brother, Ronald Whitehead of Frenchtown, NJ; nine grandchildren and eight great grandchildren. Funeral services will begin Tuesday, March 26, 2019 at 10:00 AM in the Holcombe-Fisher Funeral Home, 147 Main Street, Flemington, NJ followed by graveside services in St. Mary's Cemetery, Halstead Street, Clinton, NJ. Calling hours will be Monday, March 25, 2019 from 6:00-8:00 PM at the funeral home. For further information or to send an online condolence, please visit www.holcombefisher’com. "Email Address" would like to share the life celebration of Stanley Whitehead. Click on the "link" to go to share a favorite memory or leave a condolence message for the family.